NASA's airborne observatory, SOFIA, was in the right place at the right time to study the environment around a distant Kuiper Belt object, 2014 MU69, which is the next flyby target for NASA's New Horizons spacecraft. The team onboard SOFIA was able to position the flying telescope precisely where the data from NASA's Hubble Space Telescope and the European Space Agency's Gaia satellite indicated the center of the shadow would be, at precisely the right time. 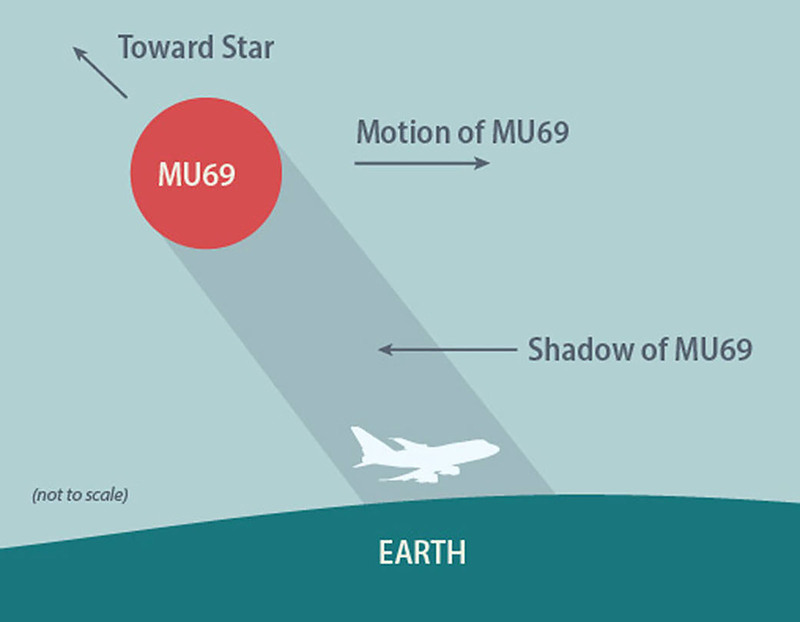 "This was the most challenging occultation observation because MU69 is so small and so distant," said Kimberly Ennico Smith, SOFIA project scientist. "Working with the New Horizons researchers onboard, our instrument team, and our flight crew, we optimized our observing strategy and collected data throughout the entire occultation event. We're eagerly anticipating the results of the data analysis." The mission team will analyze that data over the next few weeks, looking especially for any rings or debris around MU69 that might present problems for New Horizons when the spacecraft flies past the Kuiper Belt object on January 1, 2019.